Anthony, CSA’s APAC Market Strategy Director, has nearly 20 years of professional experience as a cybersecurity pioneering professional, advocate and business leader in the Asia Pacific region, and is competent in many various aspects of cybersecurity, his recent and current pursuits being application security, cloud security, SCADA/ICS/OIT and Smart/Safe cities. Anthony is a long-time popular public speaker and content contributor at many business, industry, academic and government/defense conferences and media (print, broadcast, internet) in the region, and interviewed often on Singapore TV News. He has been a presenter at all 3 annual editions of the prestigious RSA Conference APJ (2013-2015), a guest and adjunct instructor at several universities (Master’s Degree) and Singapore Polytechnic (final year) on matters of cybersecurity and governance, and was an inaugural member of IBM’s Asean Cloud and Smart Cities committees. He was also involved in building 2 of ISC2.org’s internationally-accepted professional technical certifications (CSSLP - software development security, and the new CCSP - cloud security). 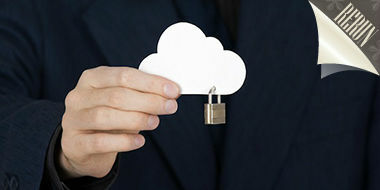 Introduction - What is Cloud Computing? Which Law Applies to Data Held in a Cloud?